Depart from Jerusalem and head towards Hebron, city of the Patriarchs and first capital of King David, to visit the Tomb of The Patriarchs (Machpela cave), from there we will continue on to Ancient Hebron (Tel Rumeyda). From Hebron we will make our way to Gush Etzion to visit the Sound and Light Show in Kfar Etzion and learn about the special history of this area. Next to Path of the Patriarchs, including ancient ritual paths and strategic lookout toward Jerusalem. 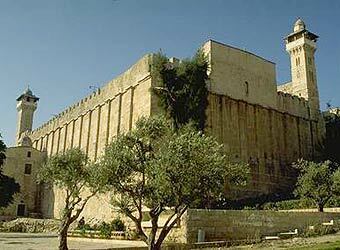 For our last stop of the day we will travel towards Bethlehem to visit the matriarch Rachel's tomb. The second day will begin with a trip to Argaman Footprint to visit the site the Israelites first camped after crossing into Israel from Jordan. We will spend the day learning about the different footprints and the significance of the shape of the footprint in those times. The second footprint we will visit is in Yafit. 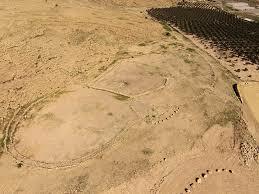 The journey of the Israelites can be learnt from these footprints. The final stop of the day will be to a third footprint; this time in Rimmonim. We will start our day with a magnificent lookout point on Mt Kabir from which we will see Shechem and Joseph's Tomb. We will visit Mt. Gerizim (Mt. of Blessing) and Mt. Ebal (Mt. of Curses) and see the site of Joshua's Alter. After lunch we will visit the The Samaritan Museum on Mt. Gerizim and learn all about how the Samaritans live. Following this we will make our way back to the hotel. Our day will begin with a visit to the Graves of the Sons of Israel (Kubur Bini Israel), ancient road side graves with a fascinating story behind them. 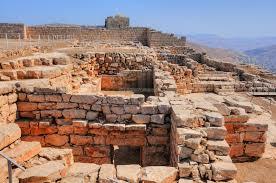 We will make our way to Mikmass pass, an ancient city mentioned in the book of Samuel. From there we will travel to Beth El to visit the site of Jacob's Dream of The Ladder. 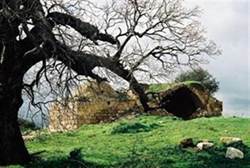 Following lunch we will travel to Ancient Shiloh, home to the Tabernacle for 369 years and a fascinating place full of history.